Pallets are all recommended skids if you need to gain some instant seats, home theaters and also custom beds! The most amazing and blasting good news is that you don’t even need to dismantle the pallets to build all the above items of furniture! 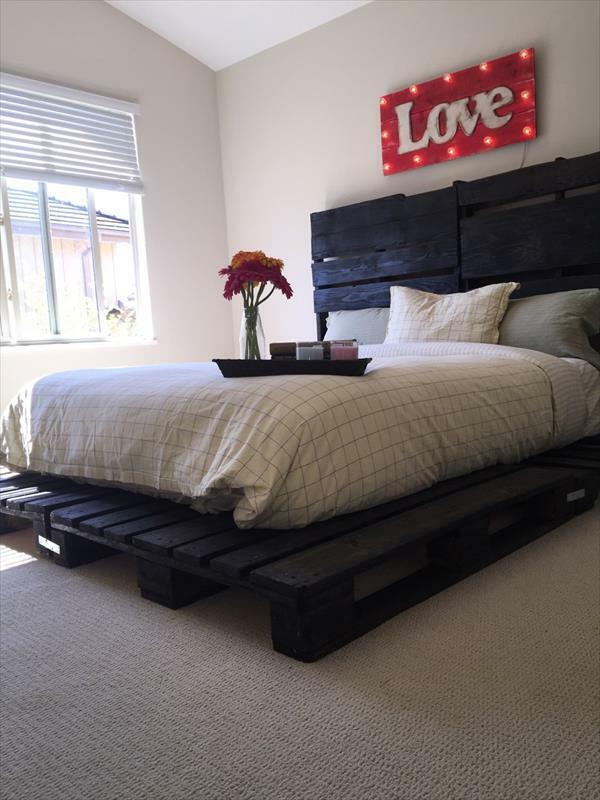 This DIY wooden pallet platform bed is a damn creative story of pallet projects in which the cuttings are skipped! 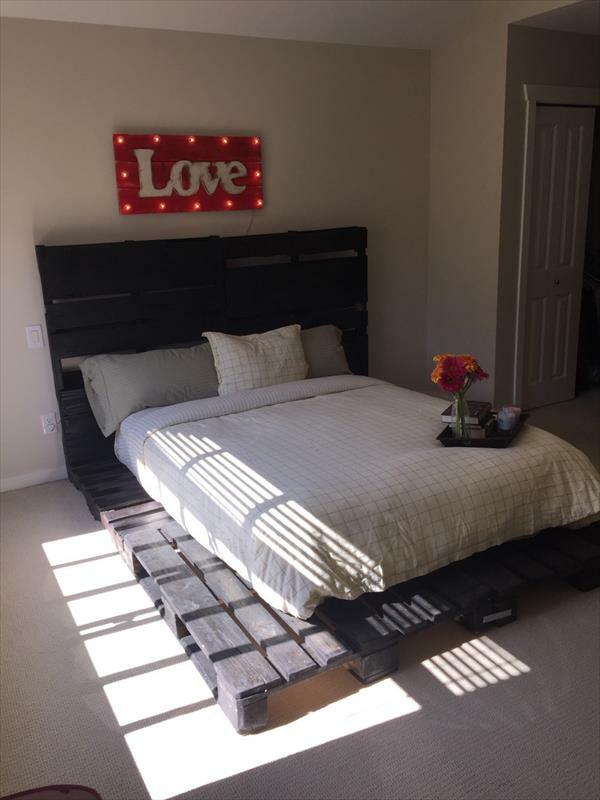 All you need is to bring the pallets boards in an L-shape and let the bedroom background wall support the pallet boards as headboard stand vertically! 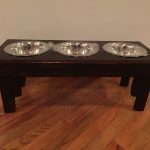 Just get a supreme foam mattress and place over this bed frame having no legs, a no-cost simple platform bed with extreme stability! 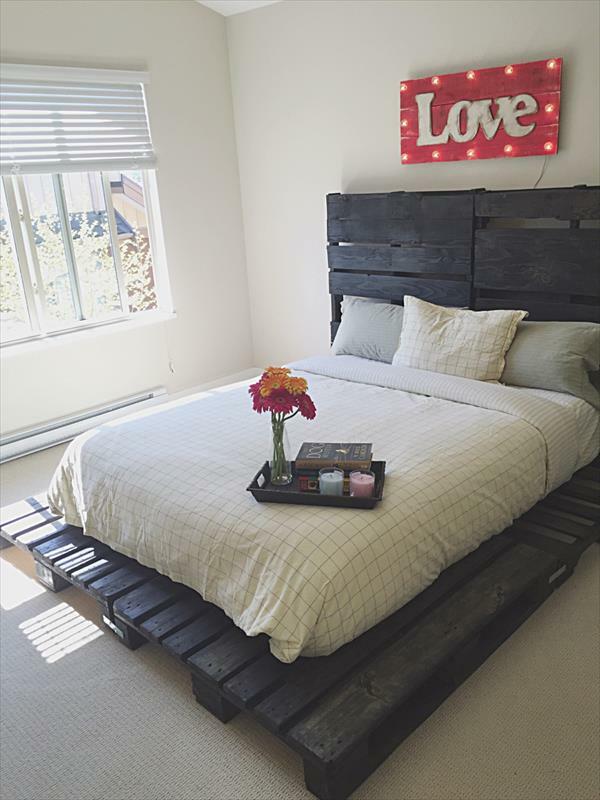 All pallet boards composed for a bed frame, have been painted in black for an enhanced rustic character but you can go with any paint colors or a stain finish to get the bed in an avatar recommended for your bedroom interior! 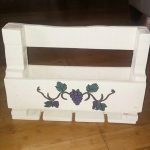 By adding and removing the pallet boards you can also control the size of bed like to a king size, to a toddler bed and also to a double bed size! 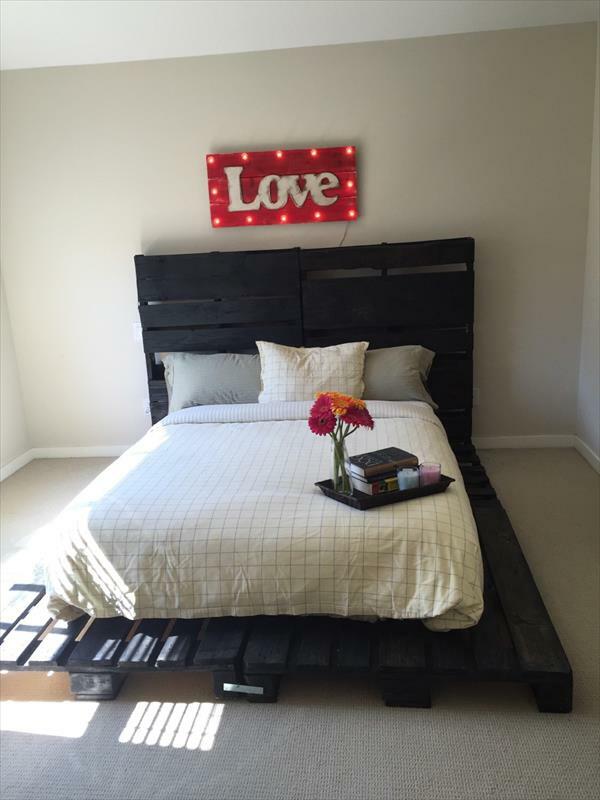 Here we have also shared 42 Unique and Easy to make “DIY Pallet Bed Ideas“.